Add salt to the almost minced cabbage and leave it aside for a minute or so. Squeeze out the excess water (reserve it for making roti's /gravies) and add the besan flour lil by lil until u use the measurements given. Now add the turmeric, red chilli , amchur powder and mix well.Finally add the paneer,coriander leaves and combine with the dough.Add the corn flour only when they are ready to get fried /baked / shallow fried. Here I've used Appam maker to have a healthier version . U can also deep fry the kofta's . Pinch small amount of dough and form a small ball. Smear each pith of the appam maker with oil and fill it with the balls and cook until turn golden brown on both the sides. Transfer them and place it on a plate. Let's move on to make the gravy now..
First grind the items given in the separate table to a fine paste. Heat a kadai with little bit of oil and transfer the ground paste. Let the paste be simmering over medium low heat for 5 to 7 minutes. So that the raw smell of the veggie's get disappeared and the oil starts coming out. Now add the turmeric powder, red chilli powder, salt, cumin powder, coriander powder (one by one), kasoori methi and combine well. Place the kofta's on the serving dish and pour the gravy on top of it and serve . U can make this guilt free ,only if u bake the kofta's ,else, shallow fried and when u skip adding half n half. Gravy without milk also tastes good . I forgot to finely shred the cabbage but that also yielded me a good result ,means, kofta's were thoroughly cooked. Add half a cup of water to the gravy if skipping milk and give a boil. Lofts curry looks really delicious. Irresistible kofta curry dear, simply inviting..
Aaahh, I wish you posted this just a few days ago. I had 2 big cabbages sitting around and finally ended up making some cole slaw, thoran and put some in a noodle stir fry! next time Im gonna try this! Umm.. that looks so delicious!. 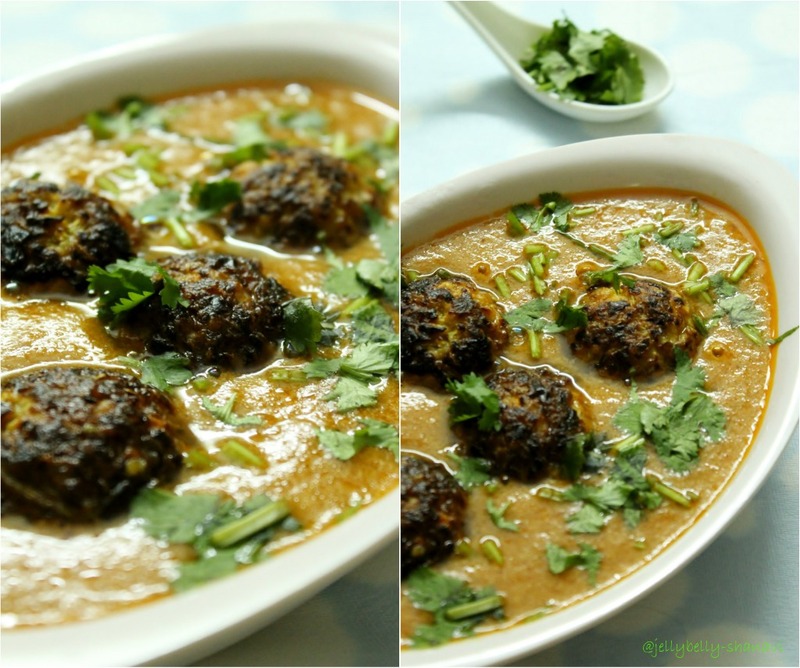 wonderful clicks..
Amazingly delicious looking kofta curry. Awesome clicks. 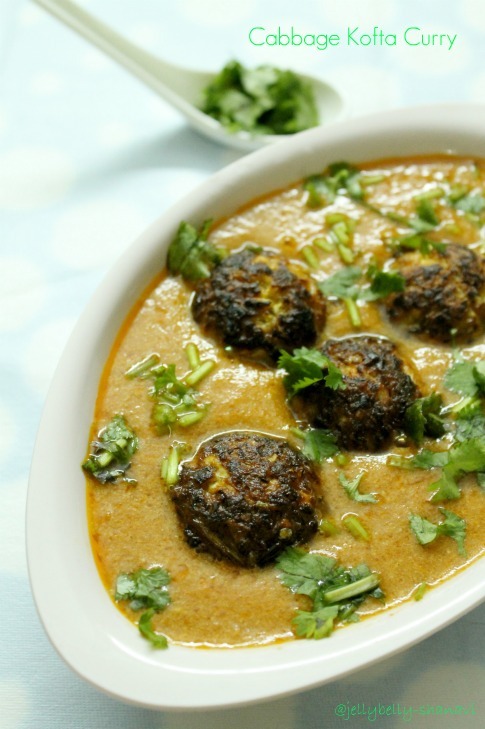 koftas look brilliant n yumm..healthy gravy..
sounds fantastic.. looks so inviting.. 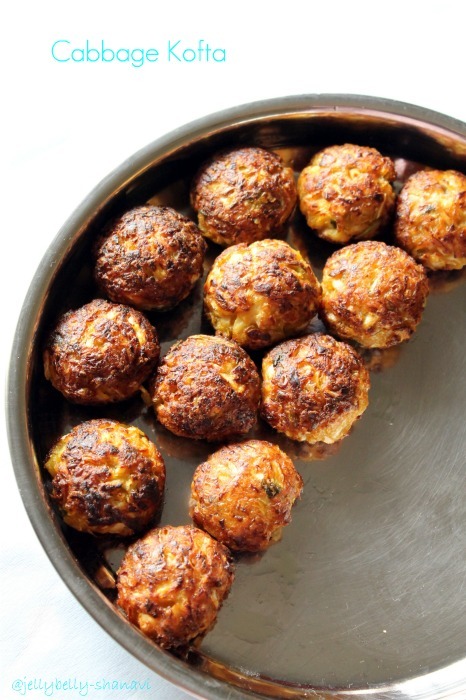 Delicious cabbage kofta love to try them. 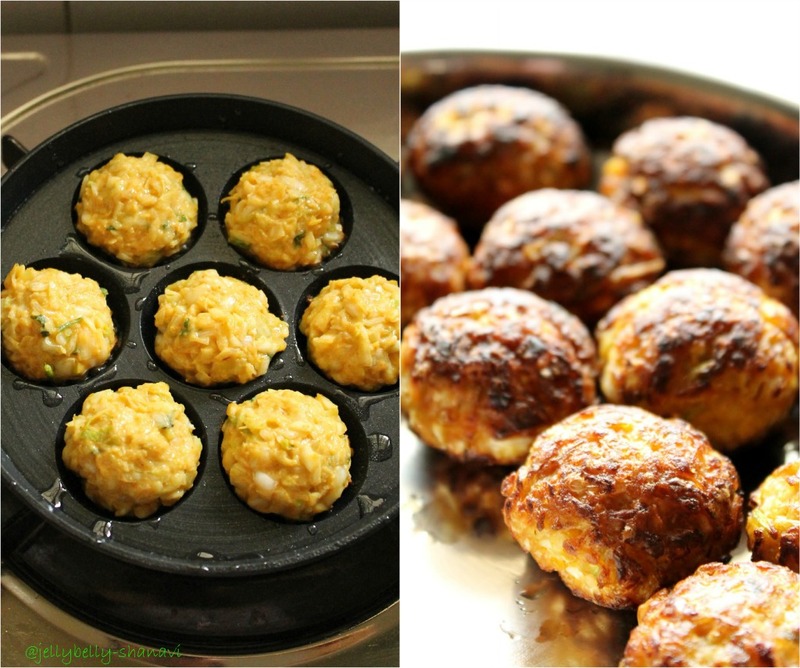 Beautiful clicks dear..Cabbage kofta looks cute and lovely with yummy gravy. super n healthy kofta curry!! I always love low fat version of koftas. Your curry came out wonderful. That curry looks so very inviting. Yum!!! Perfectly shaped and looks fabulous! 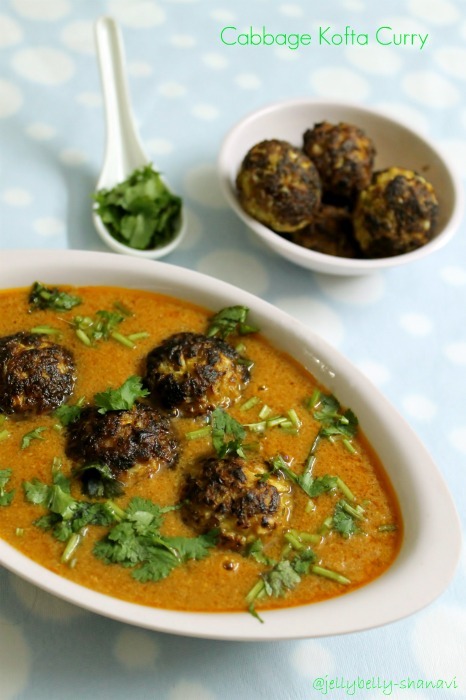 healthy recipe n delicious koftas..
WOW WT A BEAUTIFUL KOFTA CURRY...SIMPLY DELICIOUS!!! !I AM UR HAPPY FOLLOWER NOW...DO VISIT MY SPACE WHEN FREE ! looks so good, and so healthy too! A good idea to make koftas only with cabbage. Making it in the paniyaram pan gives it a different taste, I suppose. Imaginative .